When I go grocery shopping, I don’t always have a plan on what I’m going to cook, so sometimes I’ll just buy some beef and/or chicken, some veggies and I’ll figure out the rest later. Unfortunately that poor lack of planning can cause me some more unnecessary trips to the grocery store, or calls to my sweet neighbors to see if I can borrow something. Maybe I’ll get more organized in the new year! Anyway, I asked a group of friends what to do with my chicken legs and one who always has great ideas said this was one of her family’s favorites so we had to try it. I have to say the kids liked it so much, Alice ate it for breakfast all week. This is definitely a new staple for us too. In a small sauce pan, melt butter on low heat. Turn heat to medium and add the ginger, garlic, fish sauce, and coconut aminos to the butter. Allow mixture to come to a bubble, and allow to bubble while stirring for a minute or two, then remove from heat. 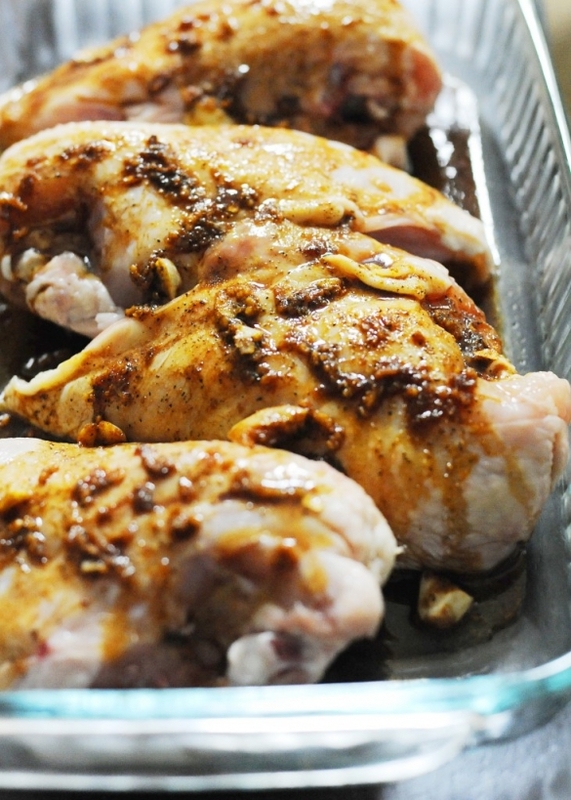 Place chicken legs in an oven save baking dish. Pour sauce over each chicken leg. 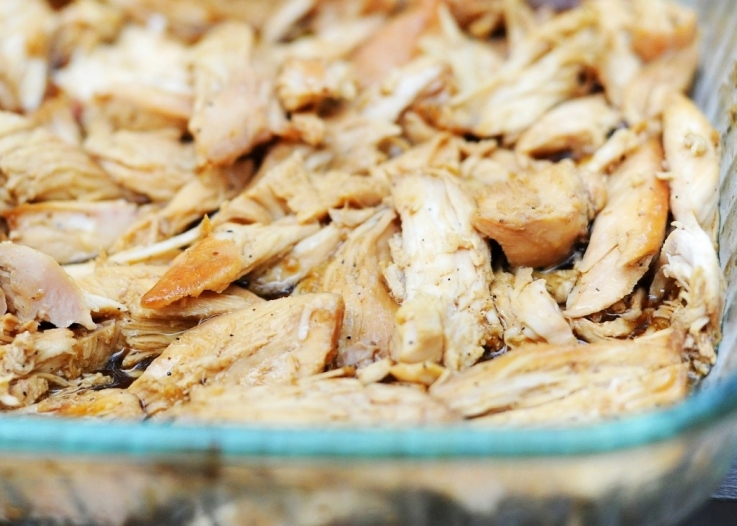 Bake chicken at 425 for 45 minutes. Allow chicken to cool and then enjoy! This went really well with sesame asparagus and some cauliflower stir fry. I’ve also made it with a whole chicken in the crockpot and it was just as good that way. Hope y’all are having a great week and enjoying this beautiful weather. Life is good.